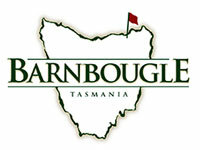 G'Day, and welcome to your 'Cape to Barnbougle' Tasmanian Experience. Below, we have put together a comprehensive itinerary, over five fabulous days, that includes a round of golf at four of the best golf courses Australasia, even the world, has to offer. Your Eighth Wonder Experience will also give you an opportunity to sample the very best local wine and produce this beautiful region is famous for. This promises to be one special journey. We look forward to hosting you throughout this fantastic experience. Rated the #2 Golf Course in Australia by Australian Golf Magazine (2013) and #11 in the World by U.S. Golf Digest, Barnbougle Dunes, is a links course unlike any other in Australia, or the world. The elder of the two courses at Barnbougle, The Dunes is a spectacular example of traditional links golf that meanders along Tasmania’s dramatic North East coast – it’s where breathtaking scenery and thrilling golf truly come together. 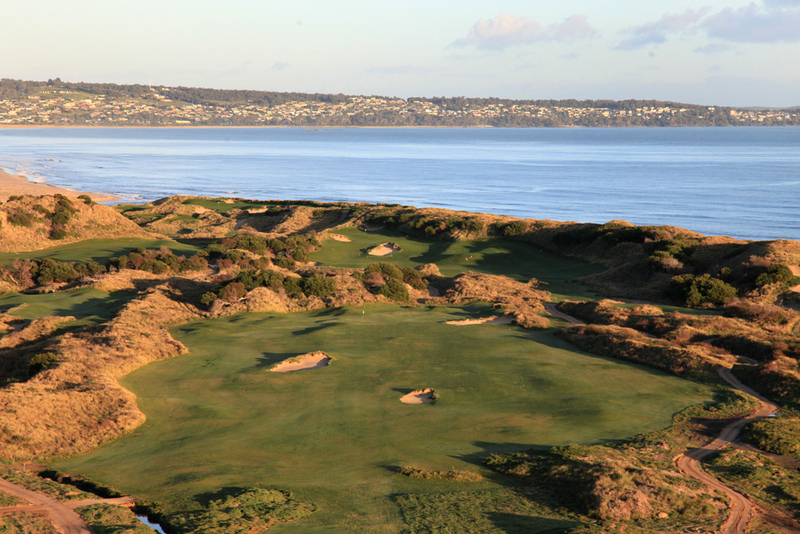 Just a short pitching wedge across the river from The Dunes, lies Barnbougle’s second golf course – Lost Farm. Despite Lost Farm’s close proximity to The Dunes, it is remarkably different, featuring 20 holes that wind along the coast and through the coastal dunes. Ranked as the #2 public course in Australia by Golf Australia Magazine, and #23 in the World by US Golf Digest, the Lost Farm course is an exciting challenge for golfers of all levels of experience. King Island is anchored in the middle of the Bass Strait between the southeast coast of Victoria and Tasmania’s northwest coast. Skirted by some of Australia’s most beautiful beaches, King Island is a magnet for the world’s best surfers and is home to produce sought by the world’s top chefs. Succulent beef, rich gourmet cheese, and crayfish plucked from the Island’s crystal clear waters are just three of the delicacies you can enjoy on your visit. While the prospect of unwinding in this quiet, peaceful paradise may be what attracts our visitors, it is the people they meet while here who encourage their return. 9:30am Arrive at Moorabbin Airport, Melbourne. Address is: 66 Bundora Parade, Moorabbin Airport VIC. The hangar is located near the Airport terminal. 10:00am Board your aircraft from Moorabbin Airport, Melbourne. Fly to King Island Airport. 10:45am Arrive into King Island. Meet your driver at the arrival hall and depart to lunch. 11:30am Enjoy lunch at Ocean Dunes before your round. They have a range of sandwiches and hot food available. Payment for lunch will need to be handled directly by the guest/s. 12:30/12:40pm Tee off at Ocean Dunes Golf Course. Carts are included. 5:30/5:40pm Meet your driver and depart to Cape Wickham. 6:25pm Arrive at Cape Wickham and check into your accommodation. 7:30pm Dinner will be served at Cape Wickham. 7:00-8:30am A continental breakfast is served at the clubhouse. This is included with your accommodation. If you would like any hot options, please let the staff know on arrival. 8:30am Meet at the clubhouse and warm up before your round. 8:50:9:00am Tee off at Cape Wickham Links. Carts are included. 1:00pm Lunch at Cape Wickham is available. Payment for lunch will need to be handled directly by the guest/s. 2:00pm Enjoy the afternoon at your own leisure, or have the option to play a second round at Cape Wickham which is free of charge. The team will give you a list of walks in the area if need be. 7:00pm Dinner will be served at Cape Wickham. Payment for dinner will need to be handled directly by the guest/s. smaller separate bag. Full golf bags will be provided for the duration of your stay on course. Overnight bags are limited to 9kgs per person. They will allow a few kgs over. Please note; they may have to re-pack any heavy bags due to weight restrictions. Tasmania, an isolated island state off Australia’s south coast, is known for its vast, rugged wilderness areas, largely protected within parks and reserves. Home to just 500,000 people, it is as intimate as it is beautiful. Its gorgeous capital city, Hobart, is home to one of the world's most intriguing art galleries, Museum of New and Old Art (MONA), while northern Launceston is one of the few cities on the planet to be wrapped around a gorge. Drive anywhere in the island state and you can go from beach-lined coasts to World Heritage-listed mountain areas in just a few hours. Along the way you'll pass welcoming farm-gate producers, cellar doors and restaurants specialising in local produce so fresh it's the envy of the culinary world. 7:00-8:00am A continental breakfast is served at the clubhouse. If you would like any hot options, please let the staff know on arrival. 7:30am Checkout of your accommodation and meet your driver and depart to King Island Airport. 8:20am Arrive at King Island Airport and meet the team from Vortex Air. 8:30am Depart King Island Airport to Barnbougle in your private aircraft. 10:35am Arrive at Barnbougle Airstrip and be greeted by the team who will transport you to Lost Farm to check into your accommodation. The team will do their upmost to check you in early, however if this cannot be done they have a luggage store room and change room facilities. 12:00pm Lunch will be available at Lost Farm restaurant. Payment for lunch will need to be handled directly by the guest/s. 1:00/1:10pm Tee off at Lost Farm. Pull carts are included. If you require a golf cart you will need to provide a medical certificate from your GP. 7:00pm Reservation for dinner at Lost Farm Restaurant. Payment for dinner will need to be handled directly by the guest/s. 6:30-7:20am Breakfast served at Lost Farm restaurant. Alternatively the team can prepare a breakfast pack to take with you before your round. Payment for dinner will need to be handled directly by the guest/s. 7:30am A shuttle will transport you to Barnbougle Dunes. 8:10/8:20am Tee off at Barnbougle Dunes. Pull carts are included. If you require a golf cart you will need to provide a medical certificate from your GP. 1:00pm Lunch will be available at Barnbougle Dunes Clubhouse. Note: Barnbougle has a slightly more casual dining menu than Lost Farm. 2:00pm A shuttle will be on hand to transport you to your accommodation at Lost Farm. 2:30pm Enjoy the afternoon at your own leisure, or have the option to play a second round at either Lost Farm or Barnbougle Dunes. Note: A second round of golf is not included in the package. 7-8:00am Breakfast served at Lost Farm restaurant.Payment for dinner will need to be handled directly by the guest/s. 8:00am Check out of your accommodation. 8:20am A shuttle will be on hand to transport you to the Airstrip. 8:45am Depart Barnbougle Airstrip for Moorabbin Airport. 10:00am For the group staying in the city, you will meet your driver and be transferred to your accommodation in the CBD. For those heading back to New Zealand, you will meet your driver and be transferred to Melbourne Airport (Tullamarine) for your flight home. Eighth Wonder Travel's David Maxwell and Samuel St. George will be handling your booking from our head office in Auckland. Both David and Samuel will be on hand 24/7 throughout your stay in Australia. With a background in the super-yacht industry, David is well versed in delivering incredible experiences of the highest standard. Growing up in The Bay of Islands, he was never too far away from a fishing rod, a sailboat, or a golf green. David’s passions are photography, wine, food, and anything involving exploration. His network throughout New Zealand is second to none, ensuring any experience can be achieved with Eighth Wonder Travel, no matter what request. Born with a golf club in hand and a love for the outdoors, Sam is always a favourite with our guests. His extensive knowledge of Australasia delivers the personal and special experiences synonymous with the Eighth Wonder Travel brand. Sam grew up in the Hawke’s Bay then joined Kauri Cliffs in the Bay of Islands to begin his golf career. Having spent many years abroad working for some of the world's best golf clubs he now runs our Sydney office.